Interviews are offered by invitation only and are based on a thorough evaluation of your complete application. You may not request an interview. Instead, selected applicants will be invited to interview and given instructions on moving forward in the interview process. Interviews are conducted by staff members and are generally completed in the weeks prior to our decision notification date. See below for Interview Tips. An interview does not guarantee admission. While interviews allow us to learn more about you, they also give you the opportunity to learn more about Duke and see if this program is right for you. There will be time for your questions during the interview – use it! 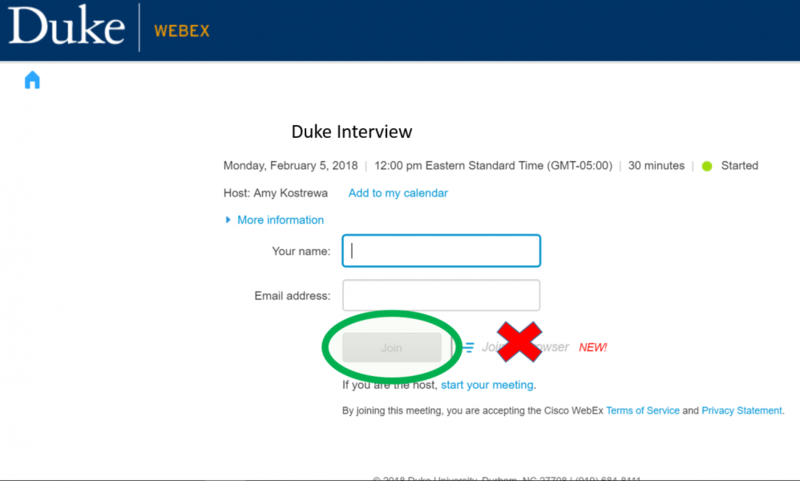 Duke uses Slate Scheduler and/or TimeTrade and WebEx to conduct video interviews. You must log in to the interview via computer. The system does not work with mobile devices (e.g. phones). Video requires reliable internet access. Free and private wireless signals should not be used. An Ethernet cable can provide a clear connection. We encourage you to use a headset with a microphone built in during the video interview. A headset will prevent background noise from overpowering your voice. You may find it helpful it helpful to mute yourself when you're not talking. Check sound settings so that you’re ready when the interview starts. If you are using headphones with a microphone, make sure those components are selected over your computer’s default audio. Don’t let your computer die mid-question. Charge your machine fully or plug it in during the interview. The access link for your interview can be found in your email. For Slate Scheduler ONLY: Once you click on the link to join the interview, you also MUST click on the Connect button in the right-hand corner of the screen. 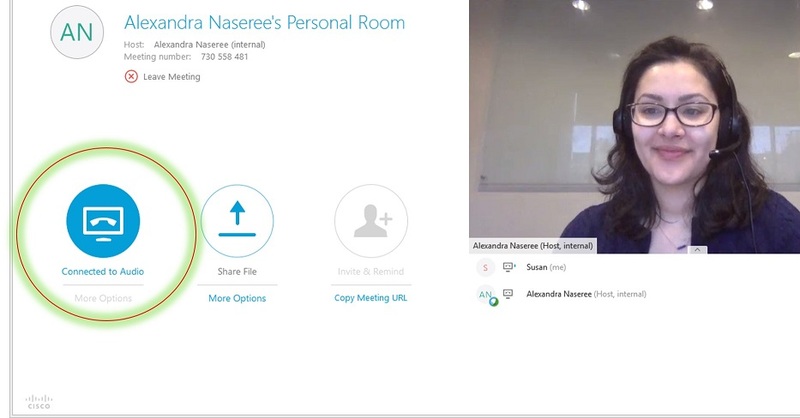 For the best audio quality, join the meeting by clicking the Join button in green rather than the “Join by browser” option, per the image below. The browser option does not give you, the attendee, as many options for support, and we’ve found that applicants who choose it cannot be heard by our interview team. When you join the meeting successfully, be sure to Connect to Audio so that you can hear the interviewer and the interviewer can hear you.